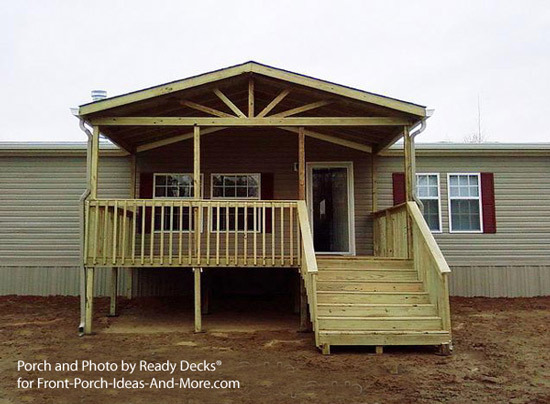 We are excited to interview Brad Johns, to talk about affordable porch ideas for mobile homes (and traditional homes, for that matter!). 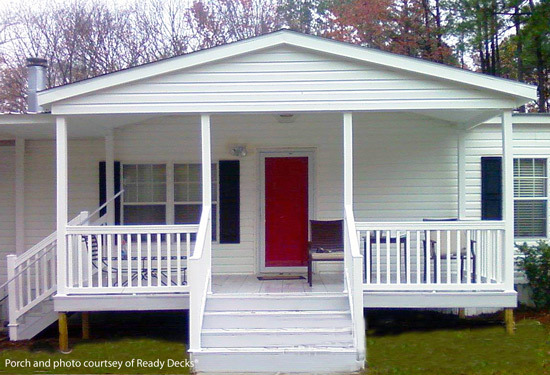 Brad is the creator and owner of Ready Decks Franchise Systems out of West Monroe, Louisiana. Bradley started Ready Decks in 2001 and has built over 9,000 decks and porches company-wide, which is absolutely amazing. 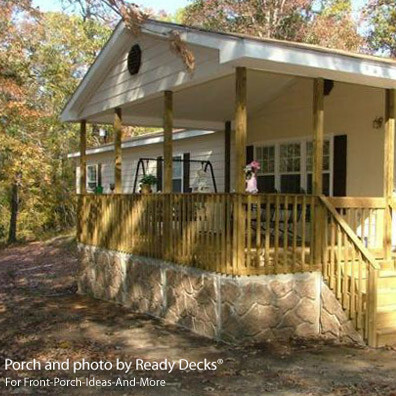 Brad is an expert in building porches for mobile or manufactured homes and he also builds porches for traditional stick-built homes. 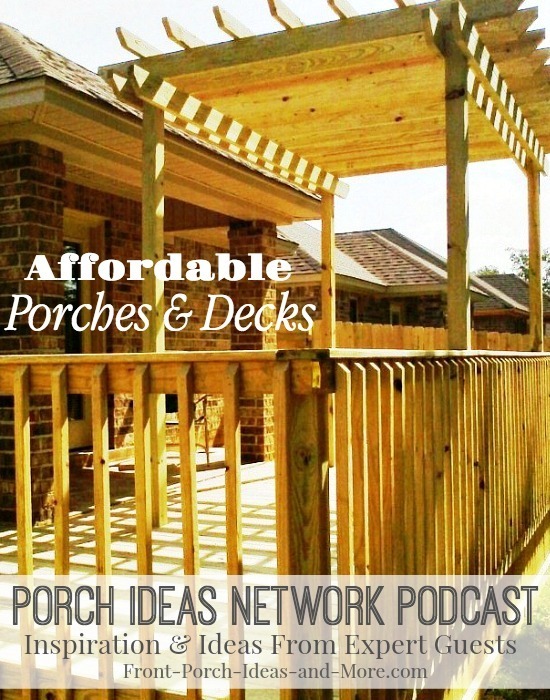 We welcome Brad to our show to talk about affordable porch ideas for mobile homes - and for that matter, for any home. Bradley built his business based on providing high quality porches and decks for the average working person. His expertise in building porches, decks, and other stand-alone structures makes him a sought after source for understanding what is involved, and what is special, about building structures for manufactured homes, mobile homes and tradition stick-built homes. Do you need footings and piers? Screen porch options- what you need to know. Regarding Accessibility: "The code is for every inch off of the ground you need one foot of ramp. So you would start by checking the distance from your threshold of your door to the ground. Then you want to design your porch as to how it is going to sit and where do you want the end of this ramp to be. Often people are trying to get as close to their vehicle." On Building: "You want to build a self-supporting structure. You can attach the structure to the home so there's no independent movements between the two to allow for proper flashing. However, you don't want the weight hanging under that manufactured home." On Designing: "For example, you may have a natural walkway to your front door. If you center your porch and your steps, you are going to cut that porch totally in half. You may have a 4 foot swath down the middle of that porch if you have 16 foot wide porch. You just reduced your porch to six feet on one side and six feet on the other."